Vendor management can be overwhelming. 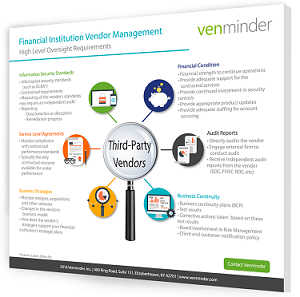 To help define the components of vendor oversight, we've come up with a simple and helpful infographic that identifies key areas of focus in your oversight regimen. Use it to help guide you and your team as you build out your vendor management processes.